Intertops aims to provide its clients with the highest levels of privacy available from any Internet business in the world. We collect only information needed to accurately pay your winnings and to provide you with the best service possible. We do not sell, trade, rent, or share the personal information you have entrusted us with. We use state-of-the-art security technologies to keep your credit card information safe. Intertops policies and practices follow the internationally-recognized principles of Fair Information Practices issued by the Organization for Economic Co-operation and Development in 1980. The more recent privacy laws of Europe and most countries are based on these principles. The only personal data Intertops collects about you is the information you explicitly give us. Information automatically sent by your Web browsers is kept separate from personal data, and is periodically destroyed as described below. 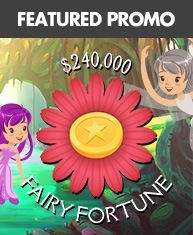 If you download our casino software, it collects only the information you explicitly provide. Intertops doesn't collect personal data that is not relevant to the purpose of accurately paying your winnings and providing you with the best service possible. Intertops strives to keep all personal information accurate, complete and up-to-date. At any time you can notify Intertops of a change in mailing address, or terminate your account. The personal data associated with accounts that have been terminated are soon after destroyed or converted into summary statistics or anonymous form where the personal identifiers are removed. Intertops will not use your personal data for any other purpose without your prior consent. When you sign up as a member, we asked you to provide your name and address so that we can make payments to you by courier or standard mail. Intertops also may use your address to send its software as CD-ROMs. We collect the age of our customers in order to ensure that they are of age to gamble legally in our jurisdiction. We require an email address to send you your unique username and password. Email is also used to send optional promotional information and service change notices. We provide certain options to allow you to customize the interface, such as language, time zone, betting format, and specific browser. If you provide personal information during an interaction with our customer service functions (for example, an email address or telephone number), we use it only for the purpose of customer service. We will not sell your phone number to telemarketers or anyone else. We reserve the right to inform you about new services or special offers by short text message (SMS). Intertops treats each members' personal information as confidential and does not disclose it or use it except as permitted by the member or required by law. In particular, Intertops will not provide your email address or mailing address or other personal identifying information to anyone for marketing purposes. When making payments of winnings, we provide to the credit card company or bank and courier company the information necessary to send the payment to you. Intertops uses reasonable security safeguards to protect members' personal data against such risks as loss or unauthorized access, destruction, use, modification or disclosure of data. Credit Card Transactions are protected using SSL browser encryption. Intertops uses an encrypted, firewall-protected Virtual Private Network (VPN) to link the company's affiliated locations. It was designed and implemented by Integralis Network Systems, the European leader in network security services and the leading specialist in network connectivity in the United Kingdom. All transactions are processed in high secured 128bit encryption. All employees, contractors and other companies engaged by Intertops for work that involves access to personal information are contractually required to keep the information confidential and not to use it in any way other than what is necessary to perform their work for Intertops. Intertops has a general policy of openness about developments, practices and policies with respect to personal data. Intertops states in detail what personal data it collects and why it collects it. When you visit the Intertops website (whether you use the Intertops client software or not), the Intertops webserver logs the usual information, including the following elements. We use this information in aggregate to get a better overall picture of where our visitors come from and to improve our site. We take care to keep it separate from individual members' records. The User Agent is also used during your visit to indicate to you whether the Intertops software is compatible with your PC's configuration. Our referral program "affiliates" are provided only with essential information to earn their revenues, never personally identifying information. They have access only to the staked amounts of their customers. They are not provided with names, email addresses or IP addresses. If you run our casino software from our CD-ROM and visit our Web site, it provides a cookie to the Web site so that the site can distinguish you from web visitors who are not running the software. Intertops destroys its server logs periodically. Some summary statistics may be kept, but nothing about any particular IP address or particular page views. Intertops members have access to, and appropriate control over, the data that Intertops maintains about them. This includes a complete recent betting history (typically for four weeks), each bet placed, the stake amount, the day and time it was placed and the outcome of the wager. Old records are periodically destroyed. You can also request that the data be erased or amended. Intertops will comply with all appropriate requests within a reasonable time. (Appropriate here means that you can change any of your personal details or settings, however you cannot retrospectively change your bets). If an Intertops member does not abide by the rules specified in the member agreement, the account may be suspended or closed. Intertops always has an employee designated as its data controller, who is accountable for ensuring that Intertops protects its members' privacy. If you have reason to believe that a breach of privacy may have occurred at Intertops, or if you consider that any of the information held by Intertops about you is wrong or has been incorrectly handled, or if have any questions, please email us and we will investigate promptly. Intertops will always abide by the eight principles above. Occasionally some of the details under them may require updating. If Intertops wishes to make any substantive change this policy, it will publish the revised version on its website here, generally at least four weeks in advance of the changes taking effect. If you do not agree to the changes, you will have the option to close your account and to tell Intertops to delete your personal information. Intertops is strongly opposed to junk email. We do not send email to people who have not signed up with us. Periodically we do send emails to our customers on upcoming events and promotions, however if you do not wish to receive this information you can elect not to in your account options. Should you wish to opt out from our e-mails, simply click on the e-mail's 'Unsubscribe' link, enter your username and password and then select the product e-mails you no longer wish to receive. If you receive any unsolicited bulk commercial email that appears to be from Intertops, it is not authorized by us; please send details to our customer service and we will investigate promptly.